The Vodka Soda is one of the most common cocktails served across the bar in America, and very few mixologists and bartenders pay it much mind. Craft bartenders see the vodka soda as a pointless drink, and high volume bartenders see it as something that’s extraordinarily quick and easy to serve. Rather than turn our noses up at this amazingly popular drink, we worked to really understand it, and see what we could do to improve it. Why do so many people drink vodka sodas? The answer is simple: it’s the cleanest, quickest and easiest way to consume alcohol. The carbonation in the soda speeds the delivery of the vodka in the digestive system, the ice dilutes it down and chills it to make an extremely easy drinking and downright refreshing beverage. Of all the cocktails out there, the vodka soda may be the easiest to consume in volume and pay the smallest price for that high consumption in the morning. As we looked at how to improve this iconic drink, we felt it was extremely important to preserve what makes a vodka soda, a vodka soda. This meant that we weren’t going to float, mix, or otherwise alter the core of this drink. Oddly enough, the real solution of how to improve this drink came through using classic cocktail techniques. Many classic cocktails, like the Sazerac, use a wash or rinse of a glass to add aromatics and the hint of flavor without overpowering the core of a drink. A rinse is done by pouring a small amount of a spirit in to a glass, moving it around to coat the inside of the glass, and then dumping it out. 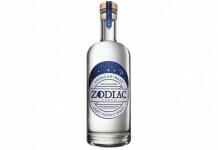 By washing the glass with a spirit before preparing the vodka soda, you get the essence and aromatics of the spirit without it fundamentally changing the drink itself. 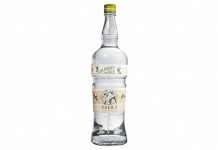 For our Improved Vodka Soda, we decided to use L’Original Combier Liqueur d’Orange. This liqueur has some of the best, most natural, and slightly bitter orange notes we’ve tasted. 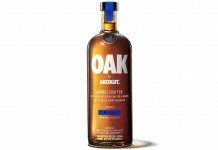 This is paired with beautifully sweet and clean notes perfect to pair with a good vodka. 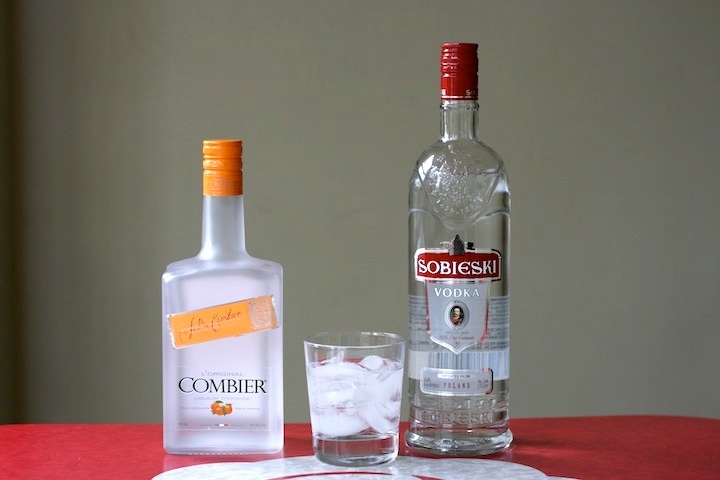 Since many vodka sodas are ordered with Grey Goose, which is an unnecessarily expensive option in this space, we decided to pick Sobieski Vodka, an extremely well priced and delicious vodka that not only brings the price down of this drink, but also improves it. The recipe is as basic as the drink is and can easily be prepared at home. Add a splash of Combier Liqueur d’Orange to a glass and swirl it around to coat the sides. Pour out the remaining spirit. Use a spoon to gently incorporate the vodka and the soda (literally one or two easy scooping motions and you’re done). The result is a drink with some very subtle and lovely orange aromatics. The orange is more of a suggestion here than a core flavor note. The drink still smells mostly effervescent and clean. The Combier adds just a slight sweet note to the drink and the ever-so-subtle hint of orange. The Improved Vodka Soda isn’t a revolution, it’s a slight evolution of a drink so many people enjoy and yet so few people pay attention to. It adds subtle flavor and aromatics without changing the core of this drink.